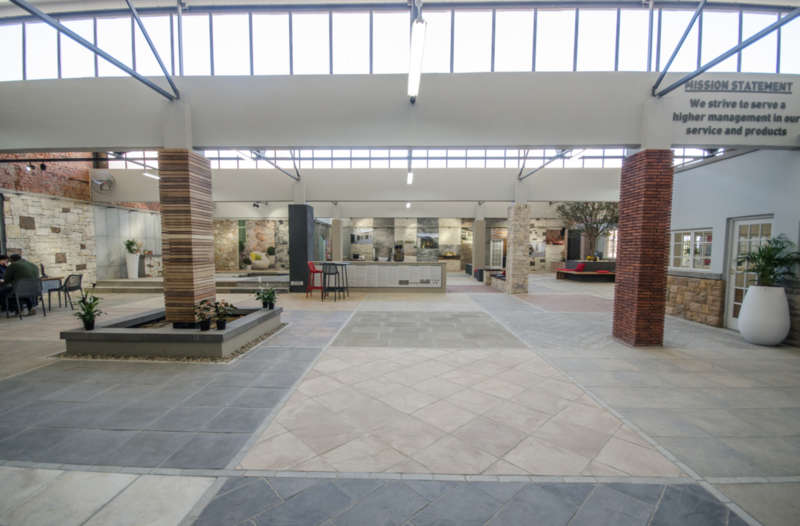 Cast stone product manufacturer’s Revelstone, have launched their new upgraded showroom in Lansdowne, Cape Town for their 25th birthday. The showroom is a visual feast for architects, contractors, homeowners, interior designers and landscapers, with a wide range of Revelstone paving, cladding and coping for indoor and outdoor applications on display. The showroom is aimed at inspiring design creativity in the built environment and boasts a boardroom for meetings and demonstrations on a large screen, an outdoor garden area and a coffee bar. “We are encouraging all our clients, be they the homeowner or landscape architect, to use this space to meet and collaborate in a relaxed atmosphere,” said Revelstone managing director, Alex Cyprianos, at the launch. Alex added that cast stone products are durable, recyclable, cost-effective, versatile, energy- efficient and innovative. “Natural stone products are becoming more expensive and less environmentally friendly, and are generally imported. By contrast, our products are produced using 95% local raw materials located within 100km from our factory. In addition, all our moulds are 100% recyclable,” concluded Alex. For more information, contact Revelstone on +27 (21) 761 9739 via www.revelstone.co.za.